NEED HELP IN THE COURTS? Because you are on this web site chances are that you already know that the courts are corrupt and BAR lawyers cannot help you. So, the only solution is to go to court and fight them yourself. If you are like most people this seems like an overwhelming task considering that you did not go to law school and the courts do not provide a guide to assist you with the forms for filing an action. Therefore, I will cut to the chase and give you all the necessary tools and information necessary to be able to defend yourself. If you really buckle down you can be filing your own papers in 30 days and have a good understanding of how things work and how to beat them at their own game in about 3 months. There are 4 courses that you will need to take and a few basic mind sets. All but one of the courses is free, but you need to take them all to get a good rounded appreciation on writing, fighting and winning. It is my strong suggestion that you take these course in the order I am suggesting for pre-prerequisite reasons. COURSE #1 Jurisdictionary - Shows you step-by-step with forms and examples how to file papers and how to respond to the opposing parties papers. This course cost $249 and claims that you can achieve the knowledge within 24 hours. I took this course and was able to understand the paperwork process and filings over a week end (24 hours). To this day I reference back to Jurisdictionary forms from time to time. [some of the strategies and procedures in this course do not take the Common Law into account and will be corrected in proceeding courses] CLICK HERE to take this course. NLA earns $50 - $125 for each referral which helps to keep NLA going. COURSE # 2 Constitutional Course – CLICK HERE to take this FREE course. This course will give you a fundamental understanding of the Constitution necessary to fight any court case. This course can be completed in less than 8 hours. COURSE # 4 Writing Powerful Papers – CLICK HERE. Read all these papers and cut and paste anything useful for your case. This will also give you an understanding of NLA's work in the court. Also CLICK HERE to read “Landmark Supreme Court Cases”. MIND SET ask yourself the following questions as you proceed, [without taking the courses above you may not be able to answer or understand the following points]. Am I getting due process? Am I in a court of record? Is the court acting under the color of law? Are all my unalienable rights protected under the Bill of Rights being acknowledged by the court. 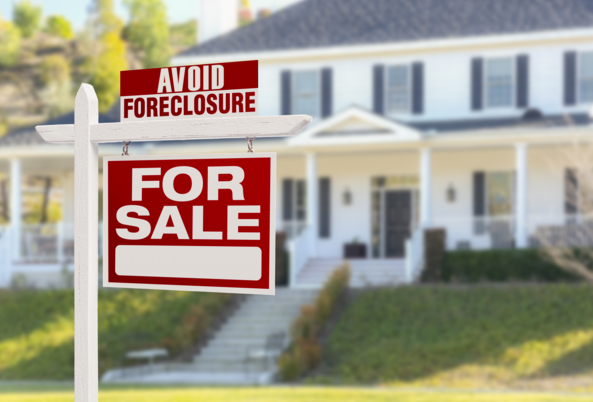 Meanwhile if you are facing a tax or mortgage foreclosure we can file papers for you CLICK HERE for help. Also, if your unalienable rights have been violated you can file an affidavit in our Federal Subversion Case. Finally, CLICK HERE for details to join our Weekly Conference Calls to ask questions and get some direction. Want to stay out of jail? Advanced preparation is everything! Procedure, timing=CRUCIAL. This requires a support system, so have your family/friends (reliable) come on the call and learn as well since they will be the one serving the habeas on your behalf. KEY: we MUST stay in the PRIVATE from the very 1st interaction with the public (police, IRS, judges, etc..), in order to obtain protection and enforcement. If not, we'll be dragged and sucked into the PUBLIC (their house, their jurisdiction) and remedy will be unreliable hit/miss at best. We must comprehend that we canNOT argue jurisdiction when we've already stepped into their house/court by contract, due to our own ignorance. It seems counterintuitive, but there are NO courts....everything in the world is commerce and administrative. The main idea is to have a group of people around you who know this procedure and have the docs ready in order to assist one another. If one is kidnapped, another is ready to serve the Habeas on the warden who must take the victim in front of a magistrate. IF IF IF the victim is able to stay PRIVATE from the get go (first police interaction) by invoking the right to remain silent (5th) without assistance of counsel, and is not released, THEN, the provost marshal is contacted to compel release. If the magistrate gives victim BAR liayer as counsel, great! victim requires this counsel to sign contract stating that s/he is ONLY act in the best interest of the victim and require him/her to file the in forma pauperis, judicial notice, which BAR members won't/can't do, so victim fires him/her on the spot. Victim STILL does not have assist of counsel and court cannot move forward and cannot imprison. The strategy is this: Per their own laws, the courts have to abide by (6th article, supreme court case Argersinger v. Hamlin) "persons convicted of misdemeanors cannot be subjected to imprisonment unless they have been afforded counsel". "...and all treaties made, or which shall be made, under the authority of the United States, shall be the supreme law of the land; and the judges in every state shall be bound thereby, anything in the Constitution or laws of any State to the contrary notwithstanding." :18 do not voluntarily go into court or police dept....everything's commerce! https://www.youtube.com/watch?v=2uGn-G5tbE8 Lawful Money, michael joseph--must listen! 1:05: courts are administrative....he says legal same as lawful? 1:34: do your DBA/ANC first!! Our trusted NLA state coordinator in Oregon, Robert Bristow, and his son Randy, are under attack by rogue deputies and cops. They have made it clear they wish to kill Robert and his son. These pricks are NOT officially authorized to be there...according to the sheriff. We have an eyewitness to a conversation where killing Robert and his son were discussed. If I can get thru to Robert, I'll get phone numbers to call. He is in very serious danger. Robert posted a video of the rogue cops near his home. I reposted it on National Liberty Alliance-Illinois Facebook page. I called Columbia County Sheriff dispatch and asked for a welfare check. Almost as soon as I finished the call these unauthorized deputies from Washington and Columbia counties dispersed...as if they were somehow tipped off. Their respective departments attempted to contact these deputies but got no response from these on duty deputies. Altho it took an abnormally long time, a ( I believe) Columbia County sheriff deputy did finally arrive and started making a report. I was monitoring most of this process via speakerphone until I got cut off. This has been an ongoing problem, the threats to kill Robert Bristow and his son are real. A local judge has taken a positive interest in this problem, and found in favor of Robert in a case of false accusations by one of these rogue deputies. The new local DA has purged 47 officers recently from local pd and sheriff forces. There is progress, there are positive aspects, but these rogue deputies continue to make unauthorized entry to Robert's property with rifles visible. Robert has a new security camera system, but was unfamiliar with its operation at the time the deputy arrived. The responding deputy was getting quasi confrontational with Robert and his son because they were having difficulty bringing up, and displaying the video surveillance footage of these rogue officers on property bearing rifles. The responding deputy also was overly fixated on an ID Robert's son wears only on property, that is legal, and already verified and approved of, and supported by the local judge. It was at this point the call dropped. I will wait a while for them to finish up with the responding deputy and call back. The number for Columbia County Sheriff dispatch is 503-366-4611. The house does not have a house number but is located on Sam Blehm Road, Scappoose, Oregon, 97056. All that can be done has been done ATM, I think. However, I may request a phone bomb of the Columbia County Sheriff department , on short notice, in the future. Please stay vigilant in this matter. The threats are very real from these rogue thug deputies. This incursion happened now, I believe, because the judge is on vacation until after the holidays. When the cat's away...the mice will play. Update...it gets worse. Somebody got to the responding deputy. He left and returned with 2 Scappoose PD. They arrested Robert's son Randy, who is mentally disabled, for misuse of 911 and making false claims....because it would takes hours to download megabytes of security footage to find the relevant footage showing the rogue deputies with rifles in the back yard. Robert cannot go bail Randy out because the rogue deputies will ambush and kill him. We fear for his safety. Start calling the sheriff department. Tell them you are monitoring the safety of Randy. Sorry, I'm just logging in for the first time in a while. What's the stutus with Randy and his son? Anything that I can do? Sorry, I'm new to this and have no info on any judicial help, I'm trying to learn. Just picking up! Is the phone 503-366-4611 to call regarding monitoring Randy's safety? Would recommend calling media. Starting a Fo Fund Me for getting the word out through social media. Have requested to join FB. Prayerfully asking Mat 18:19 agreement that this battle belongs to the Lord it SHALL BE DONE of our victorious Father in heaven!! No accuation made but CPS time traveled. Apparently, I am not the only one here who has been deceived and I'm sure I will not be the last! What's sad was that my baby was taken from me 3 days after giving birth in the hospital by DCF. I didn't get chance to bring him home nor breast feed him. I was further threatened, that if, I didn't terminate my parental rights for my other son; that he would be put in a group home for the rest of his life. To this day, I suffer in silence. As if, I am alone in this battle. I thought this was America people and that our so-called democracy or so-called justice system protects against injustice of this nature. We have all been duped. Truth be told, truth be known that silent weapons and quiet wars, are being waged against us and our precious children! I am not criminal nor do I have a criminal record. But criminals are hiding in plain sight; behind the powers that be, utilizing our children-for-profit. Please tell me, anyone that's out there...how can we stop this and how can I get my sons back? This is not just my problem, it's our problem as a whole! It is "our problem as a whole" and it might be starting to sink in that "we the people" will have to bond and be active in stand against the manipulations of the Bar and judicial and not allow the abuses of totalitarian government...and establishment with special privilege under the law... The conspiracy of silence and stonewall of the victim and the isolation are common practice. The methods: the violence and "obscene" threats against your rights (taking your baby?) and perhaps defaming and possibly criminalizing you are common pratice of the establishment/"law.". "silent weapons and quiet wars" are being waged; it's all so true. stonewalled isolated not allowed to know of events and the bill of rights all violated. .. the founding fathers saw this coming and that's why we join NLA to stop this tyranny, hopefully...it seems like their earlier supports might have been squashed by government threats, too. (I'm guessing) I don't know how to help and though I don't have children am in a similar situation of violence against rights and stonewall and silence and pretending nothing happened and for me work the gaslighting and dementia political warfare and psychopolitical warfare. I can suggest some links and research... also look at the Laura Cain and Fremont county messages below in this comment section.. I call the hot lines and warm lines..it seems like those w/o a "family" of support are targeted. rmbalaun@juno.com ... people I've known for years and family are somehow by choice or manipulation?? forced to silence and cover up; police do not help they are part of the abuse of power despite many officers of "good intent.' you might talk to Inform NH, just type in and court room observers on NLA also there are other courtroom observers that might be able to help. addendum : also there is a web site for the court room watch group ...courtroomwatch.com NLA has a ciourt room observers group too. It's under Members on the blue bar at top of page. there's a discussion group tonight at 7 Mountain time. See other 7-26 comment scroll down page: has address to send info will post if credible and do blog talk. Anyone...Please help. I already spoke to civil rights attorneys. I know I have a case but this has been going on for 2 years now and I don't know if anything can be done at this point. I really need help. CPS had the Sheriff's Office arrest me on trumped-up charges. They falsified UA results on me because of my past, and I can prove it. It's in my police report. My state-appointed attorney will do nothing to help me. This is a vendetta against me because I beat them the last time and you DON'T beat CPS. It's unheard of here. I don't know where to even begin. This is all so overwhelming but quite possibly the most amazing site I have ever come across!!! I have over 60 hours of research into the proceedures and understand how local, state and federal work fairly well. I helped my stepdaughter in her case here in california. I wrote a request to the court which followed with them asking if I was an attorney. I was later told I could not attend hearings. Eventually I followed the money, and after realizing they were not performing the required process for federal funding I called the Federal person that oversaw my countys CPS office. I spoke in their language as IT IS A WORD GAME and within hours the supervisor of my daughters was calling me to arrange to come out and do her job. It took over 9 months to figure it all out. If you want to feel free to send me a copy of any and all hearing reports that you have. Please redact any personal information you dont want to me to see. If you redact names in the report please identify them by their relationship to you (ie if you redacted your sons name just write SON over the redaction so I can still understand the report. Then if you could explain your side and what you believe they have done or not done during the process. It is possible I may see something they are not doing policy wise. My email is mgbell140@yahoo.com. Indeed! Policy and Procedure is the best way to attack them outside the Sovereign and inside the corporate beast. A procedural violation can amount to a 'procedural due process' violation of the individuals Constitutional rights. I'm not sure about California, but here in Florida, there is available on-line through the department website a downloadable version of the policies and procedures of the department. Would not hurt to obtain a copy of those for your personal library. Can you help us. margaret3000. did you talk with court observers NLA? All this stuff stinks to high heavens... enslavement is not a myth in US I'm afraid prosperity is making the idea of helping someone else against a government led /citizen supported atrocity a threat to security and peace which is coming before truth and justice and liberty... Jan Markell had some good stuff on this weekend whether you're rapture oriented or not a last days follower. Sorry .. I live in kansas but don't know much... There is the Rutherford institute John Whitehead It's in Charlottesville VA he wrote Battlefield America.. All the establishment here will work with the attorneys and court and law enforcement and "they're right"..... Gosh I wish i could help... they all gang up there?? and no one to go to? Hope you get some more answers. Hope NLA can help?? did you go to the CPS site on NLA site?? try going on the discussion group call tonight/thursday at 7 mountain time. it's under reality check on the dark bar at top of NLA page.... https://www.nationallibertyalliance.org/child-perpetrating-services. Have you tried a state coordinator of CO for ideas? in the directory State Attorney general here doesn't help the People when the "Establishment." is the 'agressor" etc. Thank you for the information. It gives me some sort of direction. I will try your suggestions. Thank you again, very much. I apologize for my delayed response. I'm not sure I completely understand. This is all a bit overwhelming. If you have time, could you email me, please? LLCAIN69@gmail.com. Just finished a 9 month jail sentence for doing what my heart knows is right, standing up for our 2nd amendment. Now I can't let fear of evil tyrants run my life. So I stand up, dust off, learn from all of it. My property was taken. I'm gonna need it back. Will give notice to trespasser as a man to see if he knows what good men do. 1. If you where jailed because of a 2 Amendment right, did you declare right to habeus corpus? 2. If the government takes a right and sells it back to you (licensure) can you not ask for redress? 3. Look to see if any of these would pertain to your historical circumstance ( 42 USC 1983, 1985, 1986). On www.educationalfamilyestateapps.com under "our products" and under the topic of "American Indian probate" there is extensive commentary about how voluntary legal Guardianship can prevent state based abuses. While it was discussed around the abuses of the Indian Child Welfare Act in unduly removing American Indian children from their homes / families, the basic discussion about voluntary legal Guardianship applies to any parent / grandparent. It must be created prior to the purported trigger causing state jurisdiction over a child. Once the state gets involved it is nearly impossible to stop the intervention. Ironically, in the cases where states should interfere it seems they don't (or we hear of abuses that went on for years and no one or nothing seemed to care). I still want to believe that all parents just want the best for their children and they have the best insight as to who would be the best guardian in those situations when a parent dies or can't be there. Funding The Committee's of Safety and getting the word out. I am on social media as @commonlaw on Steemit. I have figured out a way for committee's of safety to make a income promoting American values and teaching the law. I also have learned that as a matter of the Achilles "Heal of man that people are being indoctrinated away from societies morals. Not to be dramatic, but common sense and sanity in our society is what is at stake. I am totally willing to give my idea to the committee's as a small payment in the vested interest of our society. No charge, no trade, no barter. Just the information that will allow the committee's to generate a income and get the word out. Power of the county sheriff has my phone number. Please call between 9:00 Am - 10:00 PM pacific time. I called and left you a message on your fund raiser comments. Please give me a call at your leisure. If you do not receive a response within two working days, submit a written communication by email or mail outlining your concerns. Keep a record of your calls and/or a copy of your written correspondence. The DCS Office of the Ombudsman assists parents and guardians who are involved with DCS, their families and other interested parties when they are dissatisfied with services, actions or lack of actions, or their treatment by DCS staff. The DCS Office of the Ombudsman will review your complaint and determine the type of response needed. Have you contacted the DCS supervisor? What was the results of your attempt to resolve your issues? If that failed have you contacted the Ombudsman? Like many before me. How do I fight CPS and the lies submitted to the courts to take a child from her father and adult brother both local to child both ignored by Judge in court sure to PURJURY of CPS employee. My daughter has endured a divorce from a disordered minded person. Her 3 children have been alienated from her. as a result she isworking with others going through similar situations. the family courts are there only to get rich, in my opinion. We are working Pro Se and learning as we go. Willing to help any way I can. Imagine that 6.4 out of 100,000 children die in the hands of the same agency that suppose to protect them while only 1.4 out of 100,000 children die in general population. If you a parent what would you do?? Click JOIN OUR COMMITTEE MEETINGS on the NLA website WEEKLY CALL Tab and click the Green phone or call 605-475-3250 and enter access code 449389#. What advice are seeking a remedy to?. if it is a CPS issue I suggest that it is better to not fight them. It ends up hurting and making the situation worse most times. That is why we seek Habeas Corpus for incarcerated people and such. At least the system can't make their situation worse. They are already a ward of the State. I was very active with the bla a year ago but the courts got should of my daughter in which I tried to help her and the courts denied me the right of counsel for her and tossed her in jail and told her she would not be let out unless she took a public defender to assist her in court. She did as they demanded and they put her through the ringer and is now on probation. Well I've got in a fender bender and tried using the constitution and all the jurisdiction tacti s and was flat out denied every immunity that I set into motion. Telling the court that the ticket was a bill of attained and post exactly law which they used against me and now I'm back in court for a speeding ticket in which I was test driving a car to fix its performance issues. I slowed the car and then accelerated and with my luck a cop came around the corner and radiated me 16 miles over the speed limit and there was no telling him why so I tried the courts and have been stuffed ridiculed and forced to sign a contract to enter into a trial with these crooks. I'm afraid they are going to hit me with everything imaginable and this 200 dollar ticket will cost me a grand or better. I need some guidance because I wasn't being malicious and there is no injured party and no damages to anything but this judge threatened me with contempt if I spoke out in court and told me that all my paper work would have to be entered into the court per statutory rules and procedures or it would not be excepted. Learning what I have about common law is great but these people will not have none of this and I'm kinda screwed. Please help. The only time I have been in a court of Law was when I had the duty guarding a Prisoner. I have become aware that the Courts no longer are Common Law Court. Nor are the Admerality Courts. They do not like to admit that they are under UCC. I am frightened that when We The People are required to go before the court. we are not Innocent until proven Guilty. I have watched to U-Tube video on the NLA Writ of Mandamus and the Quo Warrento of 2014. That is unheard of! The only reason I think I would find myseld in front of a Judge is because of my right to travel. I do not have a drivers license or plates on my Jeep. It has been that way fo r nearly two years. Aanother, worse reason, is my carrying a Firearm and I find that I had to defend myself or another person. The way I am looking at it now is that I will not have to worry about the Courts. There will be another War in this country. I do hope that it does not happen in my life time. I have been reading the Constitution for the last five years. Hard wirk. It is because of our present Government and the way the Constitution is violated. Listening and reading Carl Miller, i had to do something. Found him on line. This year I found the NLA. This year, I also found Howaed Freeman. A different way the courts deal wih the Common Law. 1938 and the UCC. Frighting. "There will be no mention of the Constitution in this court." Carl Miller says that is treason - by the Judge! I do not know how to fix that. I really do not want to find myself in jail for contempt of court. Or worse! Also, I am old and do not have the money to take the course (a lot of money. Never mind the money is not worth anything) the NLA said I should. When I was younger I worked the county jail because the regular man got sick. Been there. Done that. No thanks. I have known for a nuimber of years that the country is bankrubt. Most of the People do not know or care. It took 116 years to be in debt for 8 trillion and another eight years to be in debt for 19 trillion. Why is the Federal government in dept? I have not found the reason, or the reasons, why. 40 years ago, my Father advised me that there will be another war in this country. A Mother Loving Shooting War! I think he was correct. That is one of the reasons I sought the NLA. Or aomething like it. Hopwfully, there will be a change. I do not think so! The Ballot Box, I am advised, is the only recourse. I think that is incorrect. You can not beat Santa Clause. Taking the property from one to give to another. The distribution of wealth. When I signed into the NLA I hit a incorrect key. I do not know how to change that either. On my last name, I would change the t to a y.